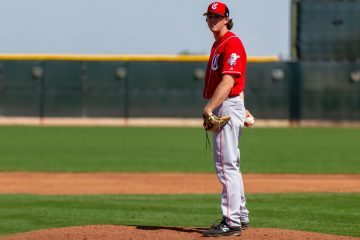 Thursday was a camp day in Goodyear for the Reds farm system. All that was on the schedule for the guys was morning batting practice and they were off the fields by 11am and finished for the day unless they were going to be playing in the big league games. That means that Thursday provided next to nothing to report on from the actual field. But I’ve also been here for the week, knew what Thursday was going to be, and had been working on a few things for the day. 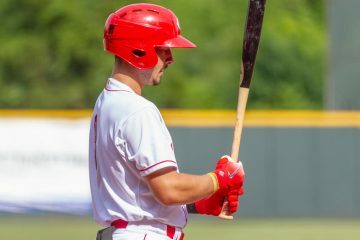 Jonathan India had a bit of an up-and-down 2018 season after he was drafted by the Reds. After beating up the SEC at Florida, Cincinnati selected him 5th overall. He headed out to Greeneville and beat up on the Appalachian League for a few weeks before heading off to Billings. That stay lasted just a few days before he moved up to Dayton to finish out his season. With the Dragons he had some struggles at times. He hit just .229, which was the down side of the performance. He walked plenty, giving him a .339 on-base percentage, and he had 10 extra-base hits in 27 games as the power played. This spring he has reportedly been crushing the ball. Earlier this week I had gotten a message from a scout about a long home run that India had just hit in a game he was at. The next day I was talking with someone else who noted that he’s been hitting homers all spring and had 5 or 6 of them. Minor League camp didn’t start playing games until a week ago. He’s clearly been feeling well and taking advantage of his time thus far in Arizona. A few weeks ago someone reached out to me after watching Tony Santillan pitch in the big league game with the Reds. The scout had seen the right-hander throw a breaking ball in the low 80’s, and he had not seen that pitch before. It wasn’t a one-off pitch, either – it showed up a few times in the game. I had not seen such a pitch in the past, nor had the scout who had seen him last season in Double-A. As it turns out, he’s added a slower breaking ball to go with all of his hard stuff. His fastball will be anywhere from 94-98 on his best days. His slider and change up both will work 88-91 MPH. Now he’s got something that’s a little bit of a different look velocity wise to change the bat speed of the hitters. 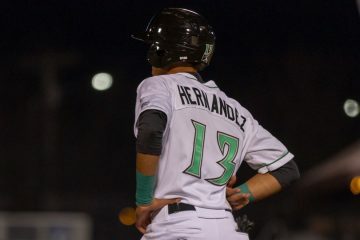 Earlier in the week while watching the Low-A Dayton Dragons game I was talking with a scout about the shortstops throughout the Reds farm system. On the field we were at was Miguel Hernandez. One thing he noted was that he expected Hernandez to add some weight and strength moving forward. If you couple his bat control with some more strength over the next few years you could see his bat take a step or two forward. 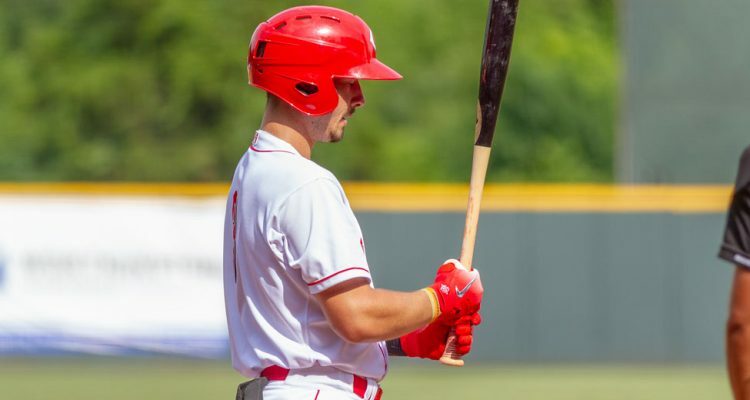 I’ve spoken with several people out here this spring about Michel Triana, the Cuban infielder that the Cincinnati Reds have reportedly agreed to a $1.3M deal with for the upcoming international signing period. If you are supporting the site through Patreon you’ve already gotten two reports on him. I’ll be working on a post about him later for the site – but it may be something I won’t get to until I get back to Cincinnati next week. Today there are games back on and on the Reds side of the complex will be the A-ball teams. On the Indians side of the complex the Double-A and Triple-A teams will be on the field. Great job Doug! Don’t apologize for soliciting for supporting your website. You are a professional and your site offers first-rate information. Love the tidbits about the adjustments players are making. Keep them coming! 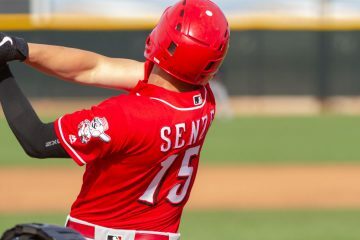 Don’t need a roster spot for Senzel as he is assigned to minors. His agent sounded pretty happy ?